Adkins, a rising A.C. Jones sophomore at the time, joined the TRiO Upward Bound program with neither expectations nor enthusiasm. The experience, however, changed the trajectory of her life. “I was very, very timid and shy and I had no self-esteem,” she explained. Adkins’ mind was on boys and make-up. It was as far away from college as possible. Today, she laughs at the lunacy of having no plans for her future. Adkins returned to school the next fall, energized and excited about the opportunity to go to college. She registered herself for AP courses to earn college credit and continued to be a part of the TRiO program until graduation. She won a student council position as sophomore class president, and joined Key Club and Spanish Club. She was more confident and on a solid track of academic success. “TRiO helped me become more social,” Adkins said. “It helped me grow up and take risks.” Adkins’ commitment to her future paid off with results. She graduated from A.C. Jones High School, and then attended Coastal Bend College, earning an Associate of Arts Degree. The Beeville native transferred to Texas A&M University in Corpus Christi where she earned a Bachelor of Arts Degree in Speech Communication with a Minor in Public Relations. Adkins recently married Derek Adkins of Beeville. Her parents are Juan and Mary DeLeon of Beeville. She is the sister of Hilda Elizondo and Anthony DeLeon. Today, Adkins is an academic advisor at Coastal Bend College. She is finishing up a Master’s Degree in Instructional Communication at TAMUCC and plans to graduate this summer. One TRiO Achiever of the Year is named at Coastal Bend College during the annual celebration, but each program honors one or two high achieving students who are current participants. TRiO Achievers, by program, follow. Samantha Saenz is a senior at Sinton High School. She has been a part of TRiO for three years. Tyler Edlin, a Taft High School freshman, has participated in UB GOST for eight months. Gerald Bruns joined TRiO Student Support Services in 2009. He began tutoring shortly after. Bruns plans to transfer to the University of Texas at San Antonio with a double major in Physics and math. He was recognized for the award because his dedication to helping his peers has been an asset to the program. Apryl Leary joined TRiO Student Support Services in 2010. She began tutoring last summer. Leary plans to transfer to Texas A&M University – Corpus Christi where she will be a History major. She wants to teach high school and college-level history. She was awarded the TRiO Achievers award because she loves helping her peers and is dedicated to working with the program. Through TRiO, our nation is committed to providing educational opportunities for all Americans regardless of race, creed, color, national origin, gender, age or disability. Over 2,800 TRiO Programs currently serve nearly 850,000 Americans. Thirty-seven percent of TRiO students are White, 35 percent are African-American, 19 percent are Hispanic, 4 percent are Native American, 4 percent are Asian and 1 percent of participants nationwide are listed as “Other,” including multiracial students. More than 7,000 students with disabilities and approximately 6,000 U.S. veterans are currently enrolled in TRiO programs as well. The Educational Talent Search Program, with an annual award of $306,752, serves 750 students in grades six through twelve. Participating middle and high school students attend schools in Beeville, George West, Karnes City, Kenedy, Mathis, Odem, Pettus, Refugio, Runge, Skidmore, Taft and Three Rivers. The CBC Educational Talent Search Program in Alice, with an annual award of $226,000, serves 625 high school students. Participating students are from Alice, Orange Grove, San Diego, Benavides, Freer, Ben Bolt-Palito Blanco, Falfurrias and Premont High Schools. In addition to counseling, participants receive information about college admissions requirements, scholarships and various student financial aid programs. This early intervention program helps students to better understand their educational opportunities and options. There are over 360,000 participants enrolled in 778 Educational Talent Search TRiO Programs around the country. Upward Bound, with an annual award of $383,533, helps 75 high school students in grades nine through 12 to prepare for higher education. Participating students are in Beeville, Mathis, Odem, Pettus and Skidmore middle and high schools. The Upward Bound G.O.S.T. Program, with an annual award of $250,000, serves 50 students in grades nine through 12. Participants come from George West, Odem, Sinton and Taft schools. Participants receive instruction in composition and literature, mathematics and science on college campuses after school, on Saturdays, and during the summer. Upward Bound students are four times more likely to graduate from college than those students who do not participate in this program. Currently 964 programs are in operation throughout the United States. Student Support Services receives an annual award of $290,517. The program provides services to 215 students at Coastal Bend College. Students receive encouragement and assistance with staying in school and eventually earning baccalaureate degrees. Participants receive tutoring, counseling, remedial instruction and numerous other services. Students are now being served at over 1,084 colleges and universities nationwide. 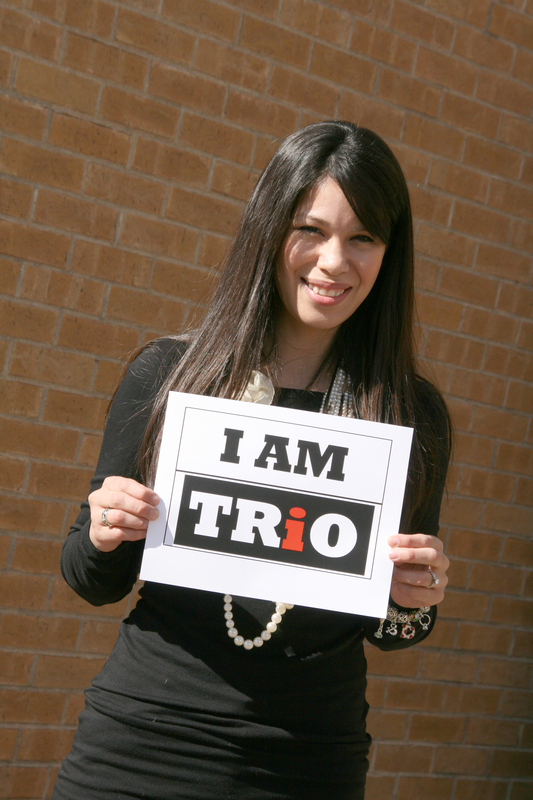 An estimated two million TRiO students have graduated from college nationwide since the program’s inception. Students who receive a full range of TRiO services (counseling, special courses and tutoring) are twice as likely to be retained and continue their post-secondary education. Coastal Bend College TRiO staff include Velma Elizalde, Dean of Student Services; Jeri Morton, Student Support Services Project Director; Kayla Devora-Jones, SSS Counselor; Sylvia Lopez, SSS Secretary; Cheryl Gallagher, Upward Bound Project Director; Keri DuBose, UB Counselor; Janice Fernandez, UB Secretary; Heather Anderson, UB G.O.S.T Project Director; April Zapata, UB G.O.S.T Academic Advisor; Dina Villegas, UB G.O.S.T Secretary; Lupe Ganceres, Educational Talent Search Project Director (Beeville Campus); Renee Brown ETS Counselor; Belinda Munoz, ETS Counselor; Mary Alice Rivera, ETS Tutor Coordinator/Secretary; Josie Schuenemann, Educational Talent Search Project Director (Alice Campus); Julie Enriques, ETS Counselor; Dee Dee Arismendez, ETS Tutor Coordinator/Secretary.